Valentines Day is around the corner. 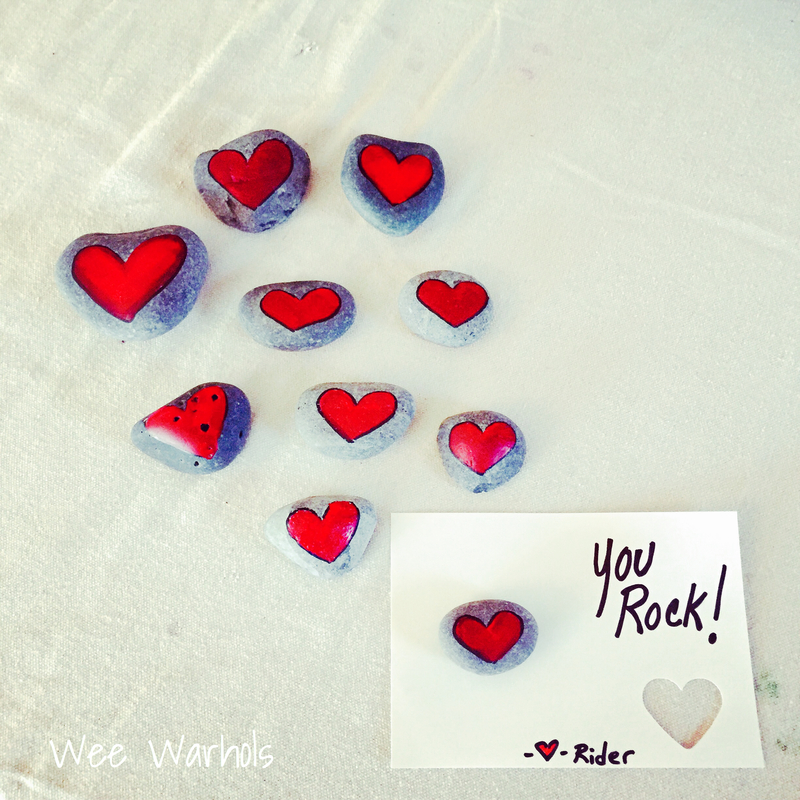 I would like to share the, You Rock! Valentines that we made last year for my boy’s classmates. I am a collector, and I have pasted this along to my boys. Whenever we go on a walk or hike we collect special things. 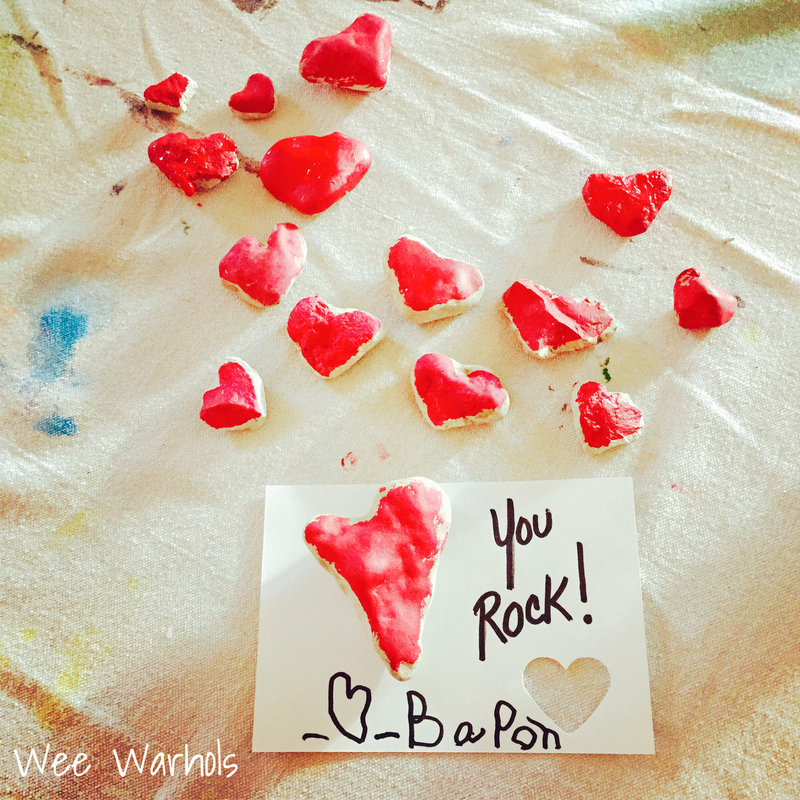 One of our favorite most treasured finds are heart rocks. (Any rock that resembles a heart.) 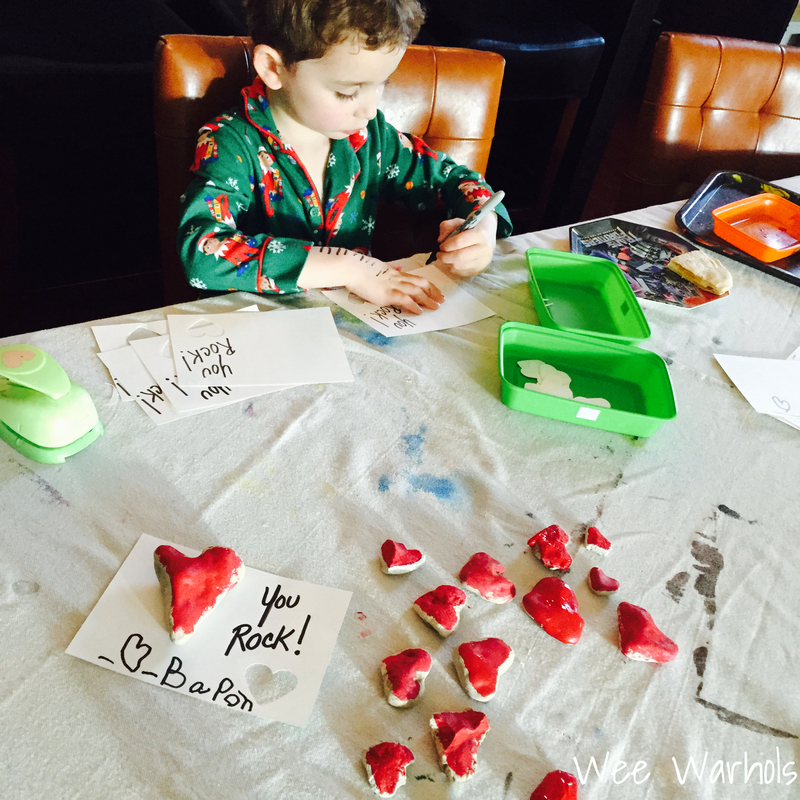 The boys decided to share their beloved heart rocks with their friends. This was pretty special. 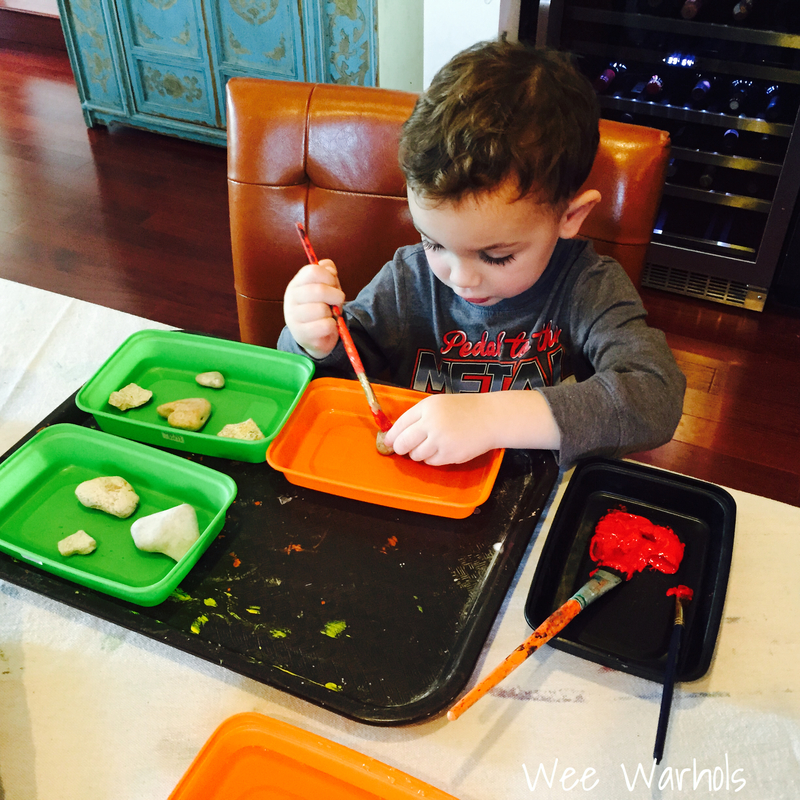 -The boys painted the heart rocks with red acrylic paint to accentuate the heart shape. -They used a heart shaped hole punch to remove a heart from each card stock card for decoration. -I wrote “You Rock!” on each card and they did their best to sign them. 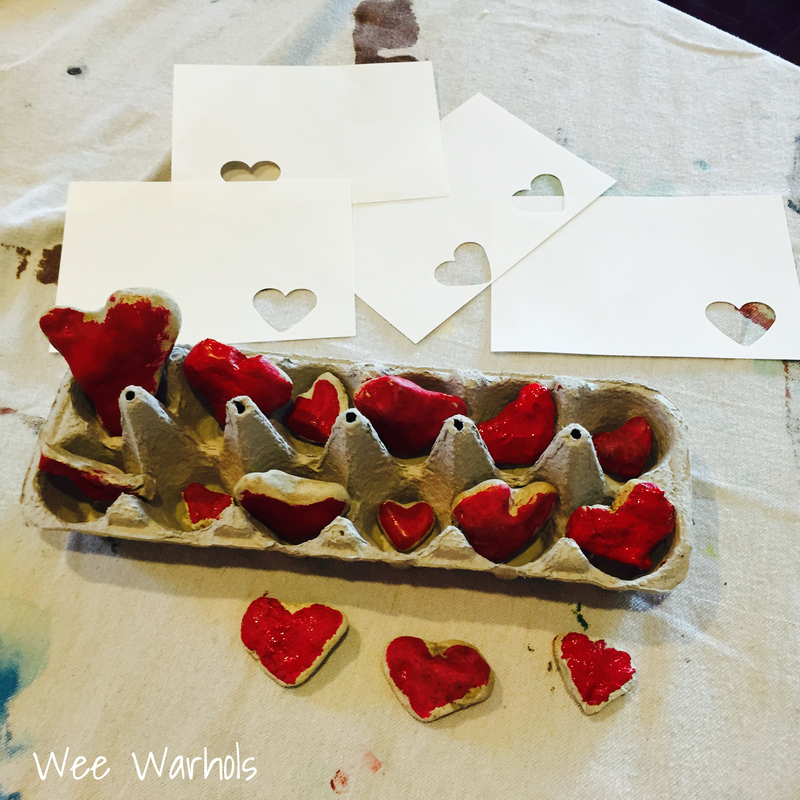 -When the paint dried, we hot glued the heart rocks onto the Valentines cards. As you can imagine we did not have enough heart shaped rocks for all of our Valentines, so we improvised with the rest. I drew hearts on stones with a Sharpie and painted them. 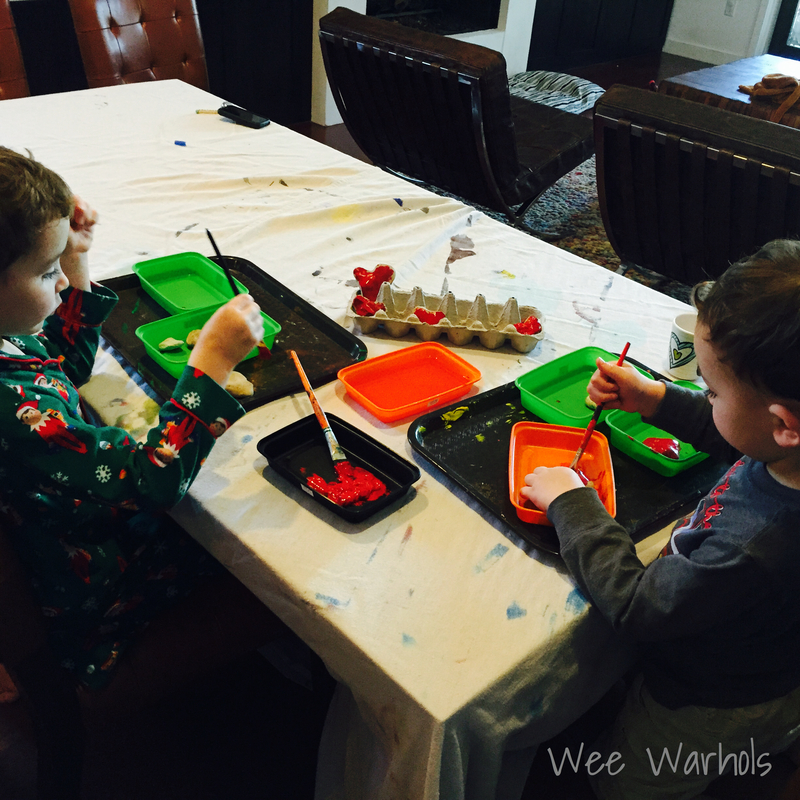 The boys took a break. Now get to hunting! A good book to read along with this project is See A Heart Share A Heart, Eric Telchin . 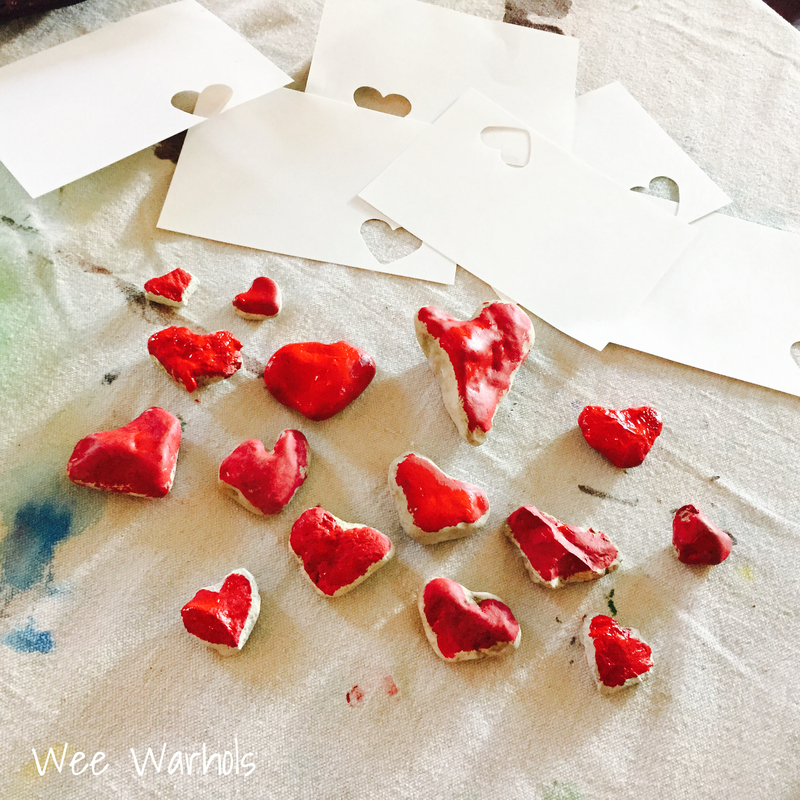 These are simply gorgeous – thanks so much for linking up with the Valentine Blog Hop; it is a real pleasure having you.